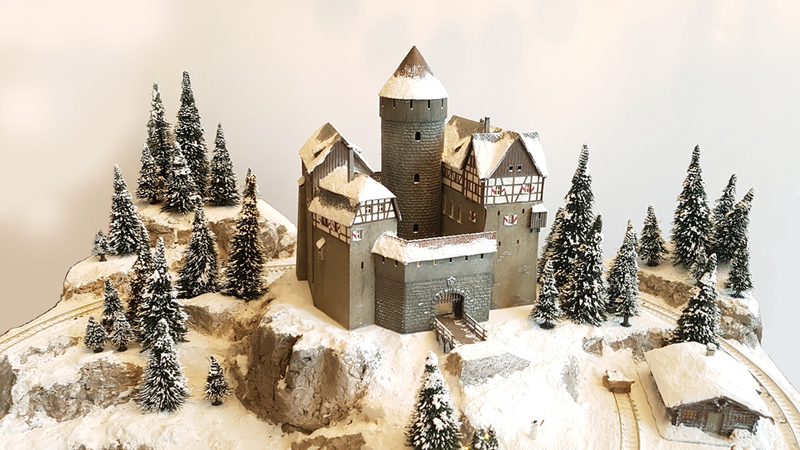 "Highlights of the facility are a lit Christmas tree, a castle (which was elaborately revised), beautifully crafted rocks, as well as the loving design with numerous figures. All buildings are illuminated. 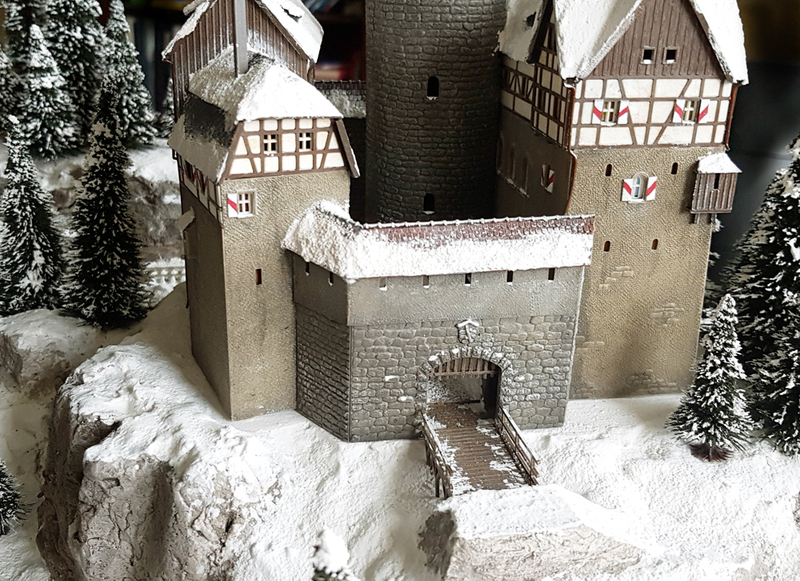 The castle is provided with numerous additional details, such as shutters, downpipes, gable boards, as well as individual roof parts. 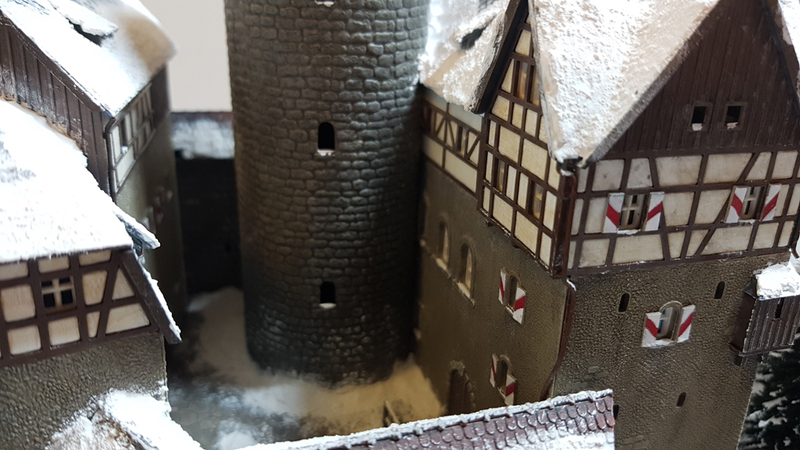 The round tower was placed laterally in the main house and the castle was completely redesigned…."